As a dog owner, the health of your pets is paramount to you. If your pet has suffered from any sort of kidney damage, it's essential to alter their diet to support their renal health. 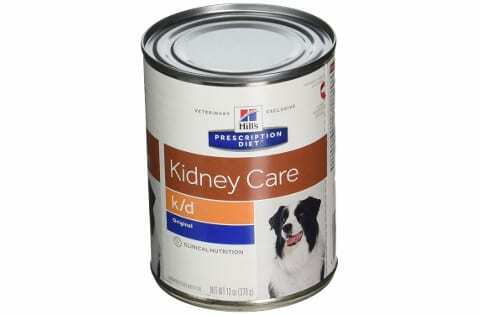 A diet low in protein is ideal for dogs with kidney problems. 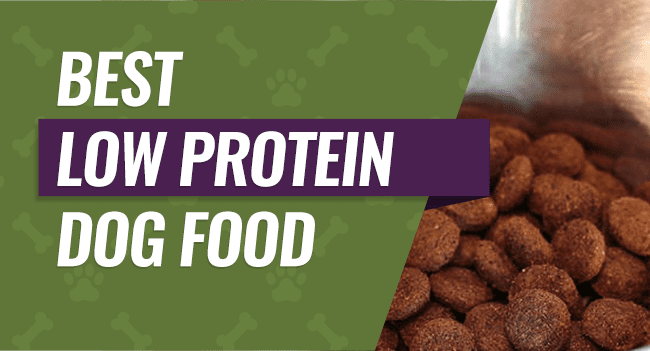 Several foods are available to fit this need; we'll take a look at the some of the best low protein dog food available today. 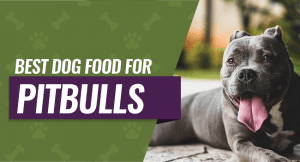 Protein is a macronutrient that contains essential amino acids that dogs need to survive. Out of the 22 amino acids, dogs are capable of synthesizing 12 within their own bodies naturally; the remaining 10 amino acids must be included in a dog's diet to ensure healthy function. According to veterinarian Dr. Sherry Sanderson, most dogs need a diet that consists of about 18% protein in order to maintain healthy function. Some dogs require more, such as performance dogs, pregnant or lactating females, and puppies. On the other hand, some dogs have special health requirements that mandate their protein intake be limited. Anything with 16% or less is considered a low protein diet. On the flip side, excess protein consumption can lead to health problems as well. A dog's body can only process so much protein before the excess is filtered out through the kidneys. When your dog's body digests protein, it produces small amounts of uremic toxins which are normally excreted through urine. But when a dog's kidneys or liver are not functioning, these toxins can build up and lead to health problems. Occasional excess protein consumption isn't harmful for most healthy dogs, but over time it can lead to weight gain and health problems. 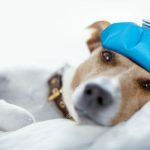 Some dogs with specific health problems can be immediately affected by excess protein; we'll take a look at some of these health issues in the next section. Dogs with these health problems may not be able to efficiently filter protein, causing excess strain on the kidneys or liver. Many of these conditions are chronic, so a permanent low protein diet may be necessary. The first step to making any significant change in your dog's diet is to consult your veterinarian. 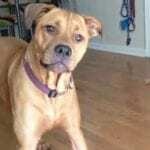 They will be able to determine whether your dog has any health conditions which require a low protein diet. Whenever you change to a significantly different dog food formula, it is advisable to do so gradually. 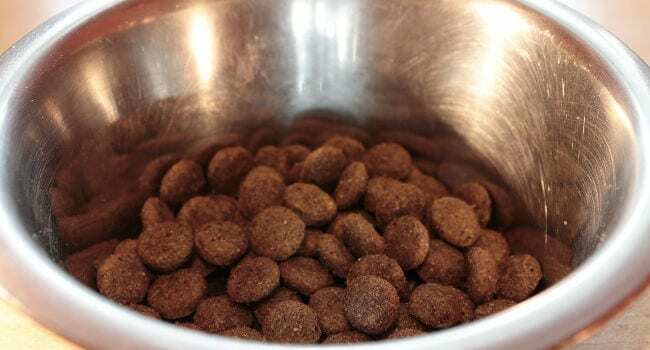 Start by mixing a small amount of the new food into your dog's existing food, then gradually increase the amount new food until it has replaced the old. 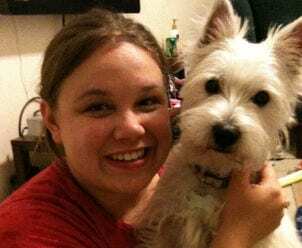 However, in some cases such as serious kidney disease, your veterinarian may suggest making the change immediately in order to ensure that the benefits kick in right away. Talk to your veterinarian about how best to transition your dog to a low protein diet. Always be sure to keep an eye out for any signs of GI distress in your pup, such as diarrhea, vomiting or sudden loss of appetite. If you notice any of these symptoms, contact your veterinarian right away. Also monitor your dog's body weight and condition to be sure they do not drop or gain weight suddenly. The only way to truly assess whether your dog's low protein diet is having the desired effect is through blood tests and other procedures that must be performed by your veterinarian. Be sure to have a plan in place with your vet to ensure that the diet is helping and not causing additional damage. Warning: Never make significant changes to your dog's diet without first consulting a trusted veterinarian. First and foremost, it's essential to pick a low protein formula that provides a balanced combination of easily digestible protein. Chicken, dairy and egg are all common protein sources. Many dog food formulas use soy as a form of protein. Soy can sometimes cause gastric discomfort, so keep an eye out for any signs that your dog is uncomfortable if you choose a soy-based formula. Also keep an eye out for any potentially harmful ingredients. Dogs with kidney problems should be fed a diet that is low in phosphorous, as phosphorous accumulates in the blood when kidneys are diseased. 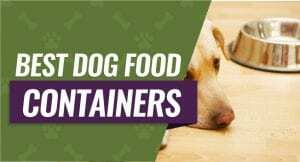 Low protein dog food can be found in canned (wet) or dry formulas. 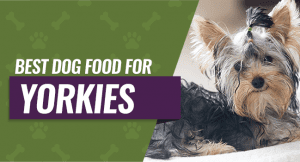 Since much of the flavor in a dog's food comes from the protein, low protein formulas can be somewhat bland and may be a problem for picky dogs. Many dogs prefer the taste of wet food, so consider a canned formula if your dog is an especially picky eater. From one of the top names in prescription-quality dog food comes this specially formulated canned food from Hill's. It's made to support renal function in dogs with weakened kidneys, with controlled amounts of protein and low levels of phosphorous and sodium. Pork and chicken make up the lean protein in this food, providing just enough protein to maintain optimum health while limiting strain on the kidneys. This formula is also supplemented with increased omega-3 fatty acids to increase blood flow to the kidneys, and B-complex vitamins to compensate for vitamins lost through urine. Users across the board were very impressed with the almost immediate improvement they saw in their dogs after switching to this formula. 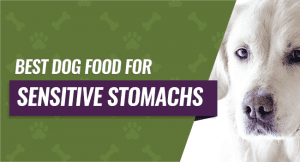 Dogs with severe kidney damage responded positively to this low protein food. As with most canned food, most dogs enjoyed the taste of this food. Despite its low protein content, it still seems to be packed with flavor. It's a little pricey, but owners whose dogs' conditions improved say that the food is worth every penny. Made with easily digestible egg-based protein and a range of healthy vitamins and minerals, it's a complete formula for adult dogs. Since phosphorous tends to accumulate in dogs with kidney problems, this food is low in phosphorous to promote kidney function. It's also a reduced sodium formula, and it's chocked full of healthy B-complex vitamins to promote various health systems. At about 12% protein, it's a true low protein formula suitable for dogs with serious kidney and liver problems. All of the protein comes from high-quality sources; no meat by-products are present. Reviews were varied when it came to the food's palatability. Some users said that their dogs wouldn't touch it, while others reported no problems. It's an expensive option, but most users found it to be worth the price. 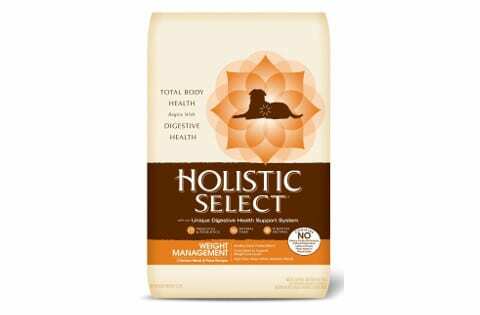 Formulated with nutrient-rich fruits, vegetables and high-quality protein sources, this dry food from Holistic Select is a great option for dogs whose digestive systems need a little extra support. The easily digestible proteins relieve stress on the kidneys, making it suitable for dogs with weak kidneys. A balance of pre & probiotics, natural fiber and digestive enzymes ensure that even dogs with digestive issues can digest their food safely and comfortably. The controlled protein comes from healthy sources like chicken and peas, though the protein source varies based on the formula. Several formulas are available, including chicken & rice, anchovy & salmon, duck and lamb. A weight management formula is also available for dogs who tend to carry extra weight, which can lead to health problems. 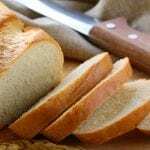 Users in general were impressed with this food's ability to solve a myriad of digestive problems. On top of easing digestion, many users noticed that it improved the quality of their dog's skin and coat. It's a little pricey, but customers across the board tend to agree that it's well worth the cost. 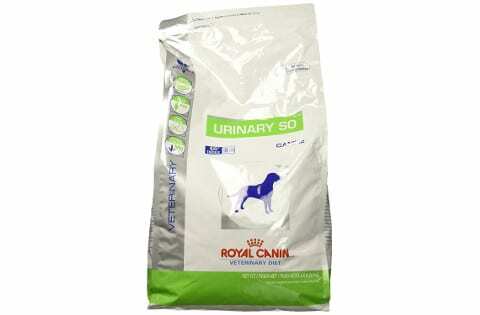 Although it is marketed toward dogs with a tendency for urinary stones, this food from Royal Canin also contains optimal levels of protein and phosphorous for dogs suffering from kidney problems. Most of the protein in this food comes from chicken and egg product. On top of controlled amounts of high-quality protein, it's also fortified with vitamins and omega-3's to help keep your pet's systems running smoothly. Unfortunately chicken by-product is also a main ingredient in this food, so dogs with sensitive stomachs should be monitored closely when eating this food. Very few users reported upset stomachs, however. Overall, users reported significant improvement in dogs with kidney problems and urinary crystals after switching to this formula. Most said that their dogs seemed to like the taste and had no problem eating it. Inspired by professional veterinarians, this low protein dog food is specially formulated to provide relief for weak kidneys. With restricted levels of protein and phosphorous, it provides balanced nutrition without straining the kidneys or liver. It's fortified with omega-3 fatty acids to enhance blood flow and support healthy organs. Added B-complex vitamins ensure that your dog doesn't suffer from a vitamin deficiency through vitamins lost in the urine. The protein in this comes largely from beef and liver. Unfortunately it also contains meat by-products, which can cause problems for some dogs with existing digestion issues. As far as taste, user reviews were largely mixed. Many users had dogs that refused to eat it, while others seemed to enjoy the taste. When it comes to choosing the best low protein dog food, Hill's Prescription Diet specially formulated for renal health checks all the boxes we're looking for. With controlled amounts of protein and phosphorous, it ensures that your dog's kidneys don't have to work too hard to process it. It's fortified with omega-3 fatty acids and B-complex vitamins to support healthy systems. Owners across the board remarked that a significant improvement was seen in their dogs after as little as a few days of being on this formula. Unlike a few of our other options, it contains no meat by-products, so you can rest assured that your pup is eating only premium ingredients.